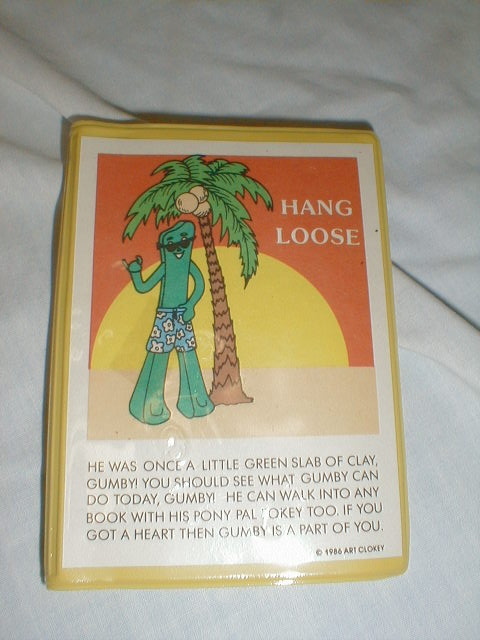 Here is listed my collection of Gumby and Pokey collectibles. Everything is for sale to a good home. I will consider all offers. Take the whole collection or parts. Let me know if you have any questions or care to make an offer. Photos of any item can be provided on request. 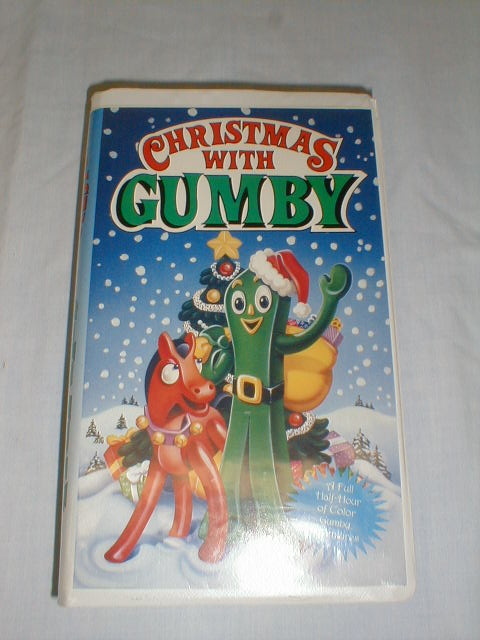 Gumby Christmas VHS video; in very good condition. 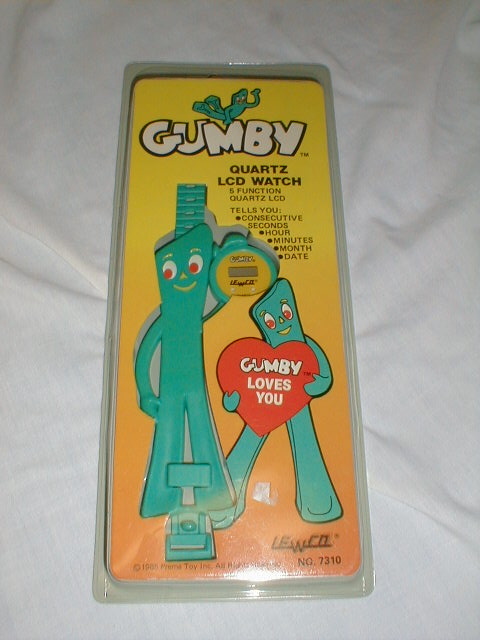 Gumby LCD watch; in original packagin; never used; in very good condition. 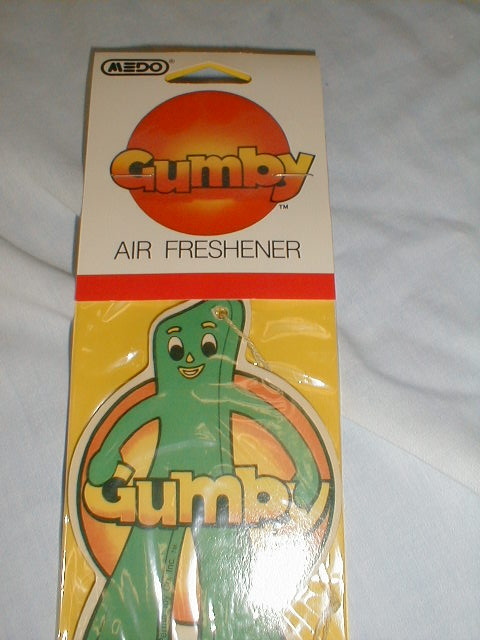 Gumby air freshener; in original packaging; never opened; never used; but doubtful it has any smell left; in very good condition. Gumby address book; never used; in very good condition. 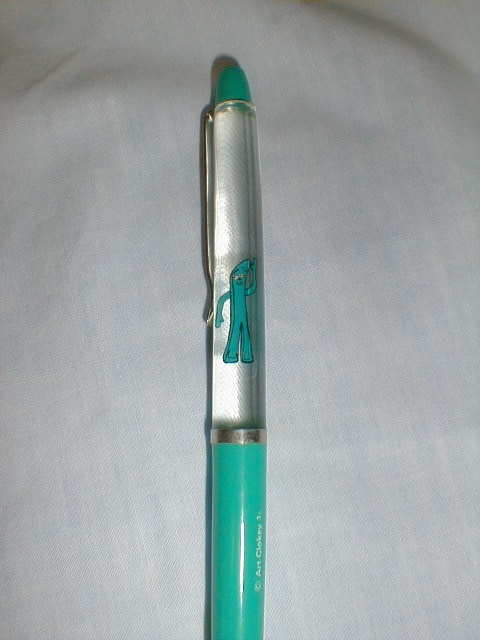 Gumby ball point pen; never used; don't know if it writes or not; in very good condition. 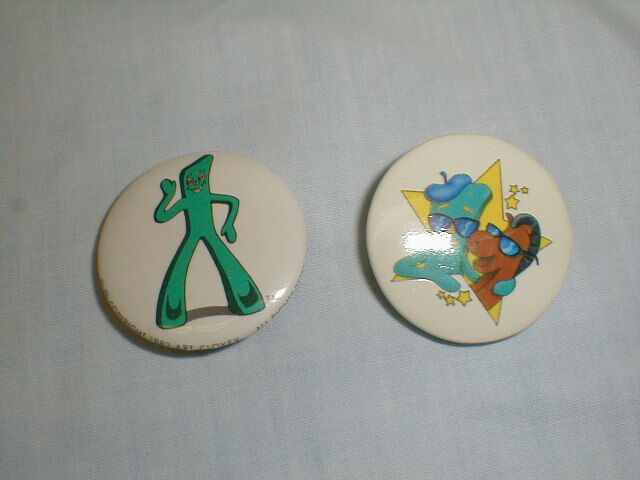 Gumby and Pokey buttons (with pin on back); in very good condition. 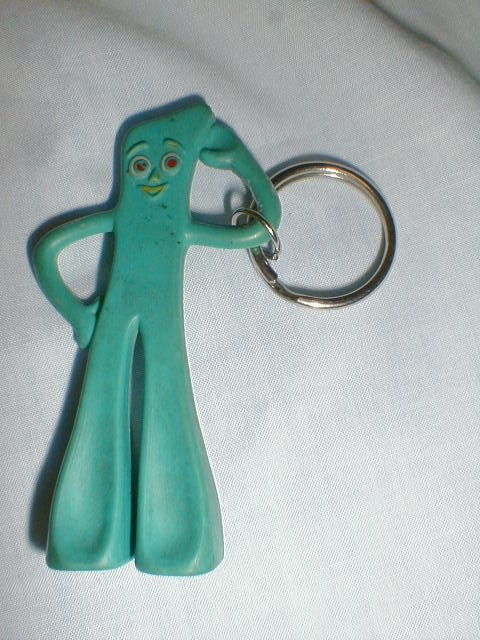 Small Gumby keychain; in good condition. 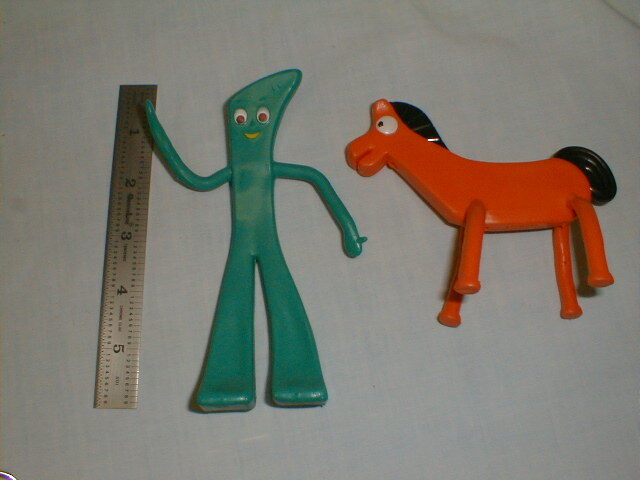 Small Gumby and Pokey flexible play toys. 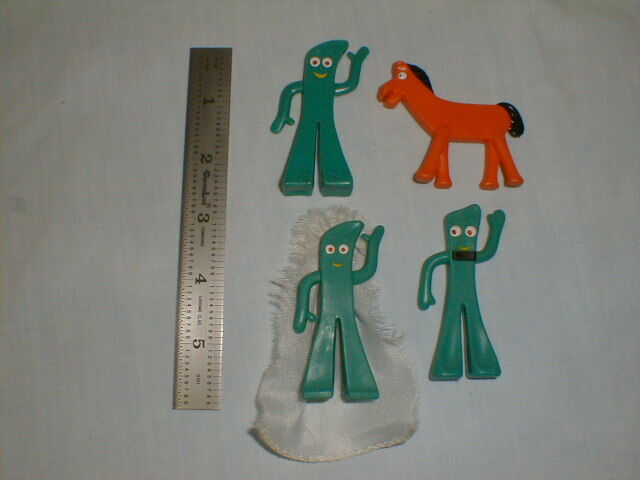 Small Gumby and Pokey flexible toys; all in very good condition; includes a Gumby bride and groom pair. 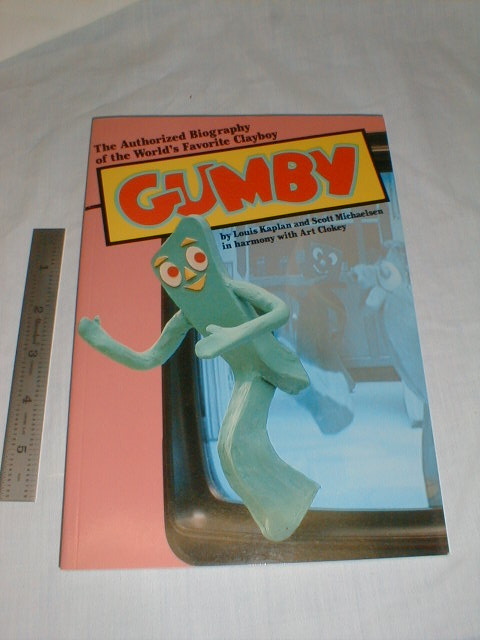 Gumby book; biography; in very good condition. 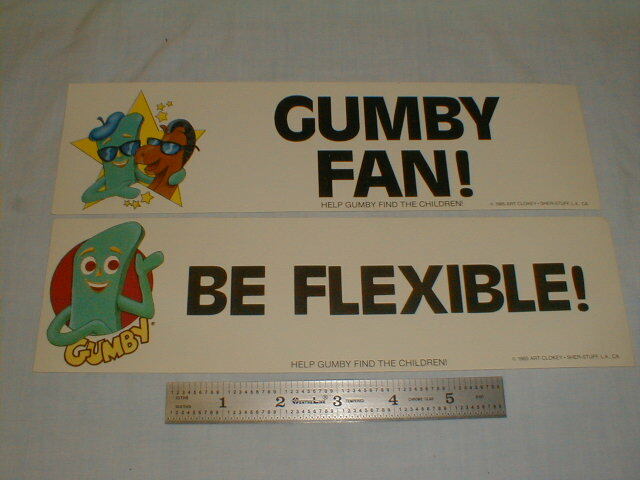 Gumby and Pokey bumper stickers; never used; in very good condition.